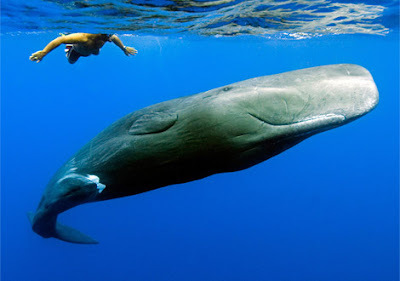 The caption read, Andrew and his friend, a young sperm whale named Scar, swim together off the west coast of Dominica. The two of them became "friends" after Andrew saved Scar's life. Photograph by Peter G. Allinson, M.D.